Gold plate on pewter. As shown in the Holbein portraits. 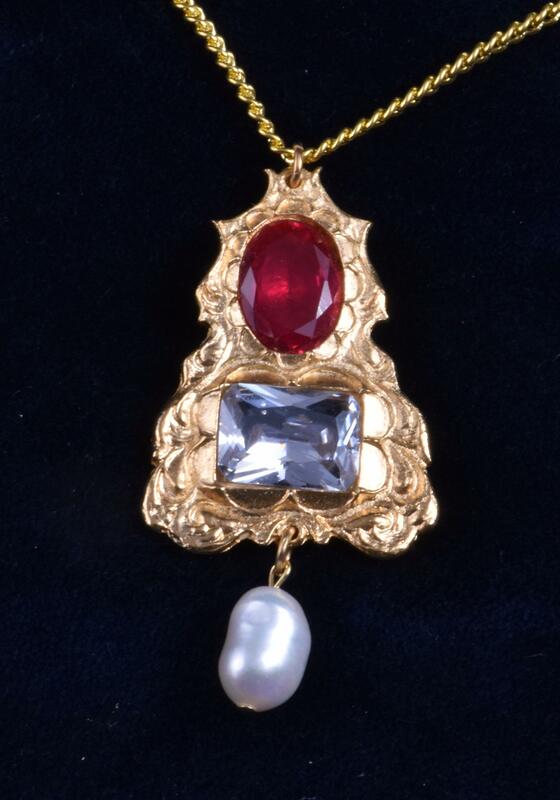 The pendant features a synthetic Ruby above a large synthetic diamond (cubic zirconia). Measuring one and a half inches by one and an eigth (4 x 3cm). With a freshwater pearl.